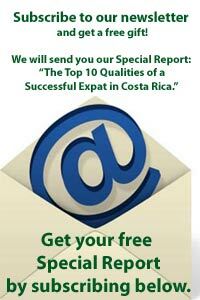 I’m writing to tell you of my experiences with CPI in Monteverde. I had researched several Spanish language schools in CR and in Nicaragua and decided to try CPI upon your recommendation. Oh wow, I was not disappointed for an instant. The entire staff are friendly and ready to help. I had some difficulties with my homestay family (it was a matter of personalities, nothing more), and within a few short hours Muni found another place for me that suited my needs perfectly. My teacher, Sylvia, allowed me to move at my own pace, yet she kept my feet to the fire, which I really needed. She was a pure delight. The lunch that you can opt to buy at CPI for around 3,000 colones was ample, delicious and nutritious. There’s a wonderful panaderia just down the street, Jiminez, that serves some of the best coffee I’ve ever had, and that’s saying something in Costa Rica. They have breakfast, sandwiches and sinful desserts. I visited them frequently, and my waistline will prove it. They also have WIFI. 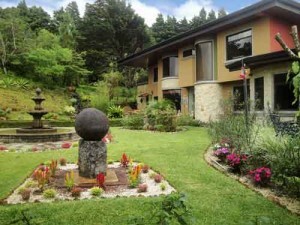 The buildings and grounds are stunning and extremely well kept. Directly across the street from the school is a vista of the Gulf of Nicoya and the Nicoya Peninsula; on my last day of class there was a huge rainbow that framed the entire view. It just so happened that I was the only person in my class, and while being “on” for 4 hours with only a 20 minute break was exhausting, CPI did not cancel the class because there were not enough students. 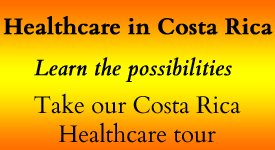 CPI has connections with several tour companies, so there is never a shortage of things to do after class. I took the canopy tour and was delighted to discover that it was the same place I had taken the zip line tour when I first visited Costa Rica 10 years ago. It brought back many exciting memories. My only regret is that the week ended so quickly. I will definitely come back to CPI, probably in Heredia next time. 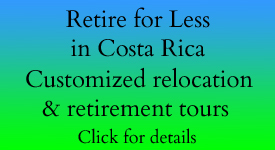 With the discount offered through Retire for Less in Costa Rica, it was a very affordable opportunity to immerse myself in the language. I cannot say enough good things about my experiences with CPI, and I very highly recommend them. They are professional and friendly, and their primary goal is to make your stay as comfortable and rewarding as they can. They certainly did so for me. You can read more about CPI at this link.